To mention a few musical events won the 1st prize at the Competition for Fanfare of ANB, which was held in the city of Varese, as well as at the international competitions in Leiden (the Netherlands) and Thiez (France). 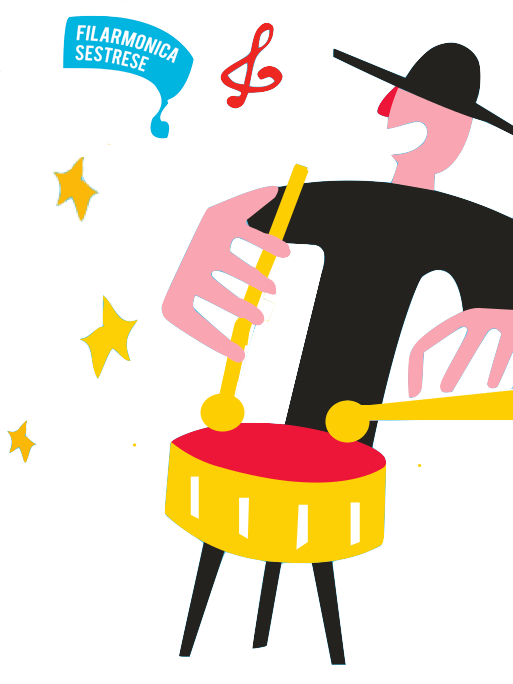 Among other events, the Fanfare includes various successful qualifications and awards across Europe (France, Holland, Belgium, Spain, Luxembourg, Switzerland, Germany and Austria). 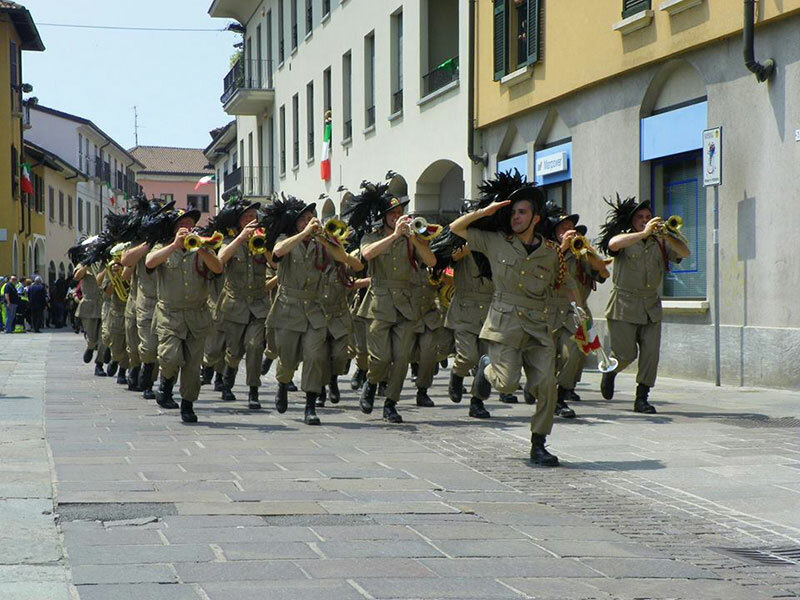 The Marching Band Melzo, although part of the Lombardy Region, in particular the province of Milan, for many years now appears to be the Fanfare Gazette of the Region of Liguria Liguria region being devoid of fanfare on leave. All this has done nothing to shake a strong friendship with the entire population of Liguria but especially with all the riflemen in Liguria. This training is the only recognizable in Italian Bersaglieri fanfare to march strictly to each National Meeting Sharpshooters with the use of original helmets of colonial Africa. The Fanfare Sharpshooters “Aminto Caretto” Melzo in 2015 will reach 40 years of foundation ranking among the top places of italian fanfares. The Band is currently made up of about 30 elements led by Capofanfara Bers. Valerio Constantino.